After three albums (Kokko, Vihma, and Ilmatar) that featured electronics heavily, including keyboards, samplers, and rhythm loops, Värttinä has elected to revisit a completely acoustic sound. Fans who might worry about the band going mellow and producing a set of ballads needn’t worry, though. These most popular of Finnish folk revitalizers are in fine form, with their instantly recognizable vocal harmonies backed by acoustic bass, acoustic guitar, accordion, fiddle, and a variety of percussion. The CD is bracketed by a pair of unaccompanied vocal excursions (the two parts of “Syyllinen Syli”) that encapsulate everything that makes this band so wonderful: complex, confident harmonies with lots of unexpected intervals and stunning dissonance. The organic compositions (which incorporate some traditional elements) are full of unconventional (to American ears at least) phrasing and surprising resolutions. From the hyper-speed tongue-twister of “Nahkaruoska” to the gentle “Morsian,” singers Susan Aho, Mari Kaasinen and Johanna Virtanen amaze with their dead-on harmonies as well as occasional solo spots. On guitarist Antto Varilo’s “Vihi,” the backup players get their chance to shine with a lively piece rife with the shifting accents and highly coordinated rhythms they provide so well in accompaniment. “Maahinen Neito” emphasizes the similarities between Finnish and Middle Eastern music, and would sound at home in the repertoire of a band from Turkey. 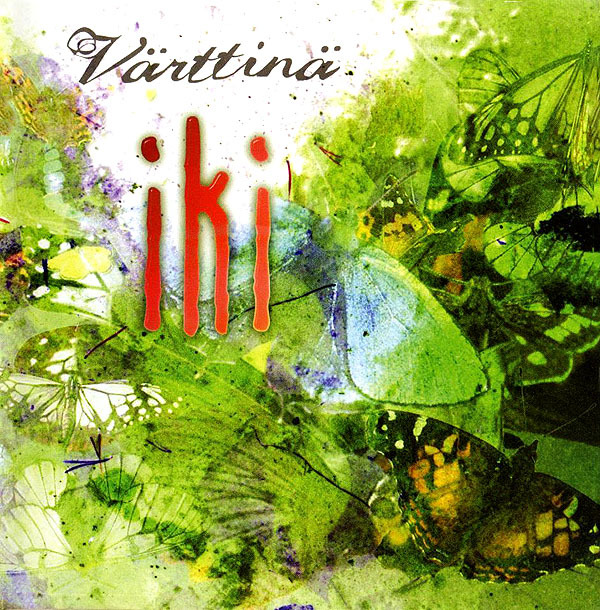 Iki would serve admirably as an introduction to Värttinä’s magic, and should please existing fans as well.